In Alphabear 2, the best way to acquire a teddy is to play the story mode. Thanks to the time machine, you will find several bears scattered across all levels. You will have to win certain levels to collect them. The map will display levels that contain teddies. Just play and win it and get a cute collectible bear. Teddies collected during the game can be used to get score/letter tile bonuses. For example, the Doc Bear gives a 45 percent score bonus and bonus 5 points when you spell 4 letter words. Some levels will grant multipliers for using certain type of teddies. For example, in chapter 2-13, you will get x2.5 bonus for using cautious bears. So if a cautious teddy has a 45% score bonus, it will increase to 113% (45 x 2.5). A bear’s type is denoted by an icon, which gets highlighted on the selection screen. You will have to select those bears that have dancing icons on them. 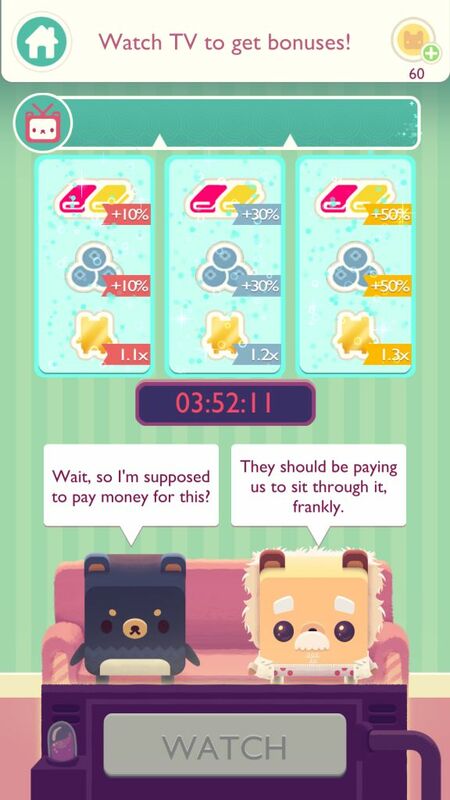 You can select up to 3 bears to get a big score bonus. Certain bears have active powers. They can either be activated once per mission or once per turn. You will need to activate a teddy’s power by tapping it on the top of the game board. 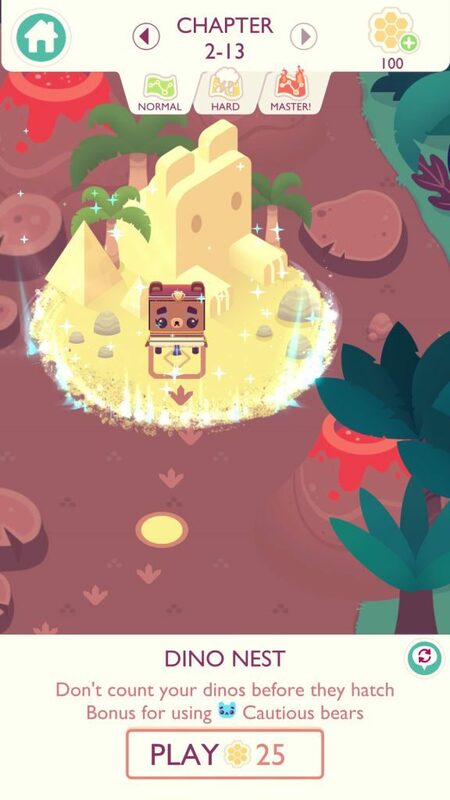 Make sure you check each unlocked bear’s power in the album located on the lower left corner of your home screen and select only those that make it easy for you to reach the score target quickly. 1. Time warps unlock when you complete chapter 1-10/11. Of all time warps, the Golden Time Warp is the best place to get rare bears. a. 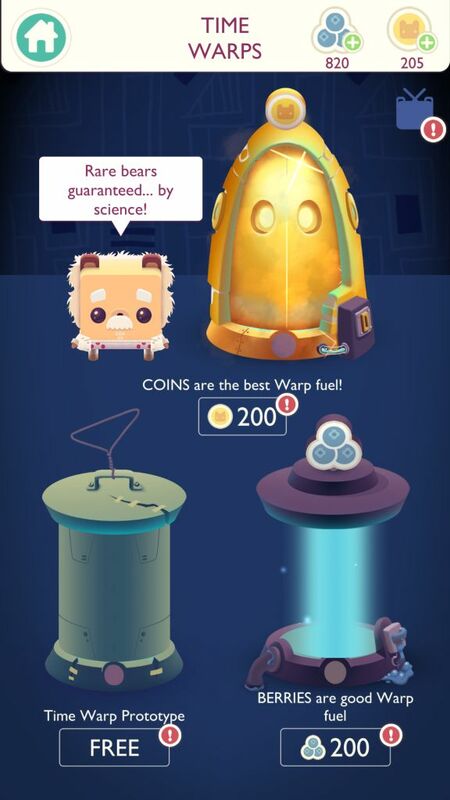 You can get coins when you win a level. You can also get them by completing simple offers. Tap the coin icon on the upper right corner of the screen and then tap the last tab. A list of tasks will be displayed on your screen. These tasks include installing an app, playing a game and reaching a particular stage or level. b. You can also earn coins when you complete certain missions under “Daily Events”. Tap a broken clock to know what rewards you will be receiving on winning an event level. You can see a list of rewards on the bottom of the screen. Spend honey to play an event level. 2. You can get common bears from the Berry Time Warp, although there’s also a chance of getting a rare bear. Chances of receiving a duplicate rare teddy are more. The one big advantage or receiving a duplicate bear is that both the original and its clone are combined and that bear is upgraded to a new level. This gives a nice boost to his score bonus. You will need 200 berries to activate this machine. You can get them when you finish a story-mode level. 3. Alphabear 2’s Free Time Warp drops a random bear every 24 hours. Could be a common or rare bear, but chances of getting a common bear are more. If you don’t want to wait for 24 hours, you can reduce the time limit by 6 hours. All you have to do is watch a video to decrease time. You can watch multiple videos if you quickly want a free teddy from the Time Warp Prototype. You can increase the chances of getting rare, epic and legendary bears from time warp by watching videos. You will also receive 5 free coins instantly on watching a video. On your home screen, tap “TV Time” and then tap the “watch” button. You can watch up to 3 videos. The more videos you watch, the higher the chances of getting rare bears. So if you watch a video for the first time, there will be a 1.1x chance of winning rare, epic and legendary bears from time warps. To increase the chances to 1.2X, watch another video. You can also watch a third video to increase it to 1.3x. With TV Time, you can also boost the chances of receiving berries. So if you watch the third video, you will get 50 percent more berries when you finish a level. Bonuses are activated after watching a video and remain for the 4 hours. Make sure you use time warps during these hours to get better bears and play as many levels as you can to get more berries.